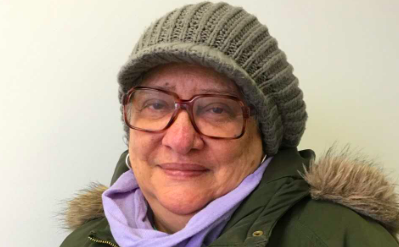 Maria Tineo first arrived in the U.S in the 1990s, and like many other immigrants, she built roots here in the city and raised her family at 21 Arden Street in Washington Heights. In 2008 Maria, her family, and the tenants in her building were forced to relocate to new residences in the neighborhood due to the structure of their building being ruled unsafe. The building 21 Arden is a part of a tenant management program called Tenant Interim Lease, the program was established for city-owned occupied buildings, and with tenants involved with the management of the properties, they are eventually renovated and converted to cooperatives. However, the renovation project for 21 Arden was originally scheduled to last just one year the tenants did not foresee it would be 10 years before they began to see any hope of returning home. “When they were first vacated from their building in 2008, they were promised that their building would be renovated in 1 year. It has been 10 years and they are only now starting renovations.” Said Jennifer Welles who is a part of NMIC’s Development & Organizing Team. Without the establishment of tenant organizing or the opportunity to ‘rent to own’ residencies native New Yorkers, like Maria and her family are susceptible to the price gouging practices of landlords looking to solely increase their profits, at the price of low-income families losing their homes. “Since I started in the position, we have helped 5 buildings become owned or controlled by the tenants. 21 Arden will be the 6th during this period.” Said Jennifer Welles. NMIC’s organizing and legal team work hard to protect individuals and families from being victimized by these practices, which often lead to unjust evictions and rent overcharges. Would you like to support their work? Click here to donate.